Welcome to your Full Scottish, from our Cowcaddens Studio in Glasgow. Welcome to this week’s Full Scottish, presented by Richard Walker and Suzanne McLaughlin with guests, James Dornan MSP, Ruth Watson from Keep Scotland the Brand and with music from Tommy McGuire. In an exclusive interview with the Broadcasting Scotland, before his announcement was made public, James Dornan MSP, joins us on the Full Scottish to tell you about his reasons for stepping down from the SNP Depute Leader election so he can concentrate on the fight to rid Scotland of the blight of sectarianism. Ruth Watson talks about the campaign to Keep Scotland the Brand and it’s importance to protecting the reputation for quality of Scottish products and it’s importance for jobs and the economy. 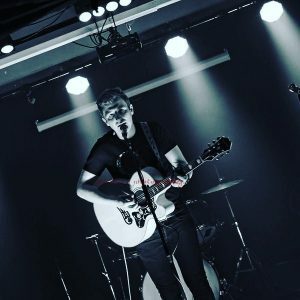 Tommy McGuire was a recent guest on our Here and Now programme and he was so good, we thought you would want to here some more from him. James Dornan lives in the Glasgow Cathcart Constituency he has stayed in most of his life. He joined Glasgow City Council in May 2007 as the elected Member representing the SNP in the new Langside Ward. He was elected as the Leader of the Opposition in Glasgow City Council in 2008. 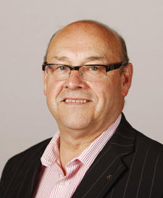 In the 2011 Holyrood Elections, James was elected as MSP for Glasgow Cathcart and was re-elected in the 2016 elections. Shortly after his last appearance on the Full Scottish, James became the first candidate to announce his intention to stand for the SNP Depute Leader role. On today’s programme James tells us about his determination to see an end to sectarianism in Scotland and why that led to him deciding to withdraw from the Depute Leader election, so he could put all his energy into one of the worst issues which is, sadly, still an issue in Scotland in the 21st century. Ruth Watson started the ‘Keep Scotland the Brand‘ campaign when she realised the extent of the crisis facing Scotland’s food and drink industry as a result of Brexit. Not only are we facing the collapse of our farming sector and our ability to produce our own food but the distinctive Scottish name which brings so much trade and so many tourists to our economy. 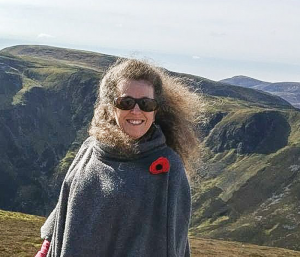 Working as a journalist and broadcaster in rural and coastal communities has given Ruth an understanding and appreciation of the importance of food and its production. The journey from farm to fork is central to everyone’s lives. The one thing which unites every one of us is we all need to eat and, every time we do, a farmer, a fisher, a food and drink producer has helped get that food to our tables. Pete Wishart chairs the Scottish Select Committee looking at Brexit, Trade, and Brand identity. Local livelihoods, our food security, depends upon it. Please encourage businesses, customers, your MP, everyone, to make a submission: explain why we should Keep Scotland the Brand. Tommy McGuire studied music at Wolverhampton University and also attended the Academy of Music and Sound in both Glasgow and Edinburgh. Although he started a little later than some musicians who find themselves with a guitar in hand as a toddler, he is ambitious and keen to give up selling cars for a living in order to pursue music full-time. Tommy got into music in a big way when he was at high school. Hi friend was picked to do singing as his instrument, when the teacher realised he had a decent voice as well, andit has just gone on from there. Thanks to Aye for Scotland who supplied the “Keep Scotland the Brand” package. You can see more of their videos on their YouTube channel.